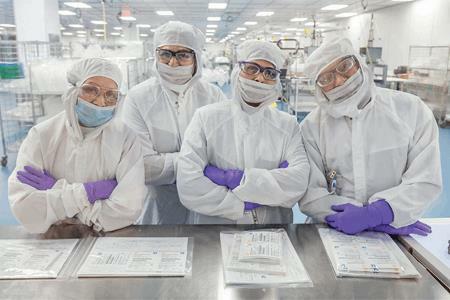 Back in 2016, MilliporeSigma began a multiphase program to prepare themselves – and their customers – for a high quality, scalable and secure single-use future. Phase 1 of the “Mobius® Transformation” was underpinned by the launch of the Mobius® MyWay Program – a segmentation of MilliporeSigma’s single-use portfolio into three product offerings: Mobius® Stock, Mobius® Select, and Mobius® Choice. The aim? To reduce custom assembly lead times and enhance supply security. Behind the scenes, however, other high-impact transformations also had to occur to execute the mission, including reorganization of all departments to support a 24/7 schedule, Lean Six Sigma training for employees, and expansion of the company’s Danvers, Massachusetts site – ultimately, leading to its new status as a single-use Center of Excellence. Phase 1 was completed in early 2017, but Phase 2 – ensuring continuous improvement and further enhancing supply security – is an on-going journey. We spoke with Pascal Perrotey, Head of Operations at the Danvers site, and William (Bill) Faria, Production Manager, to discuss the single-use market, as well as the Mobius® transformation – and what both mean for single-use customers.